And now the eSpeakers Marketplace is better than ever, with powerful new features that make it easy for event organizers to book, contract and pay you — in one simple, secure solution. 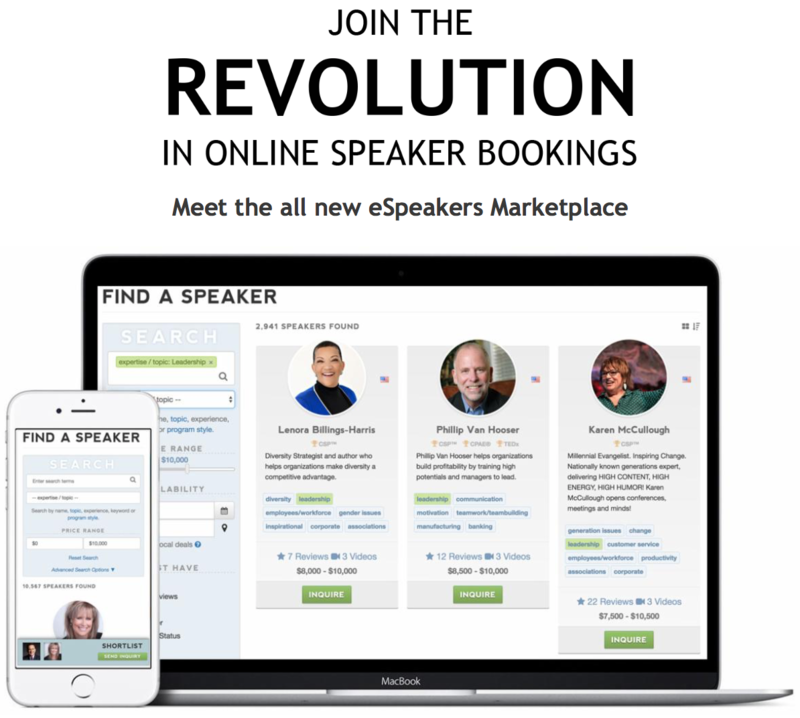 The bottom line is this: the new improvements to the eSpeakers Marketplace platform revolutionize the speaker online booking process. You’ve got the vision of where you want to take your business; we’ve got the platform. Please see this article for more information about how the eSpeakers Marketplace online payments and contracts work.